After being here the best part of four week I’ve finally got a light suntan – on my burger buns. Decided to make the perfect burger/frites in the most difficult conditions – crap oven, impossible to get any serious heat into the frying oil. Did pretty well really. Made brioche buns and green olive and Brebis (sheep’s cheese) brioche loaves in the herb baskets. Achieved a light suntan with a milk glaze (semi skimmed). Could have sworn there was a pastry brush here but ended up using my fingers. 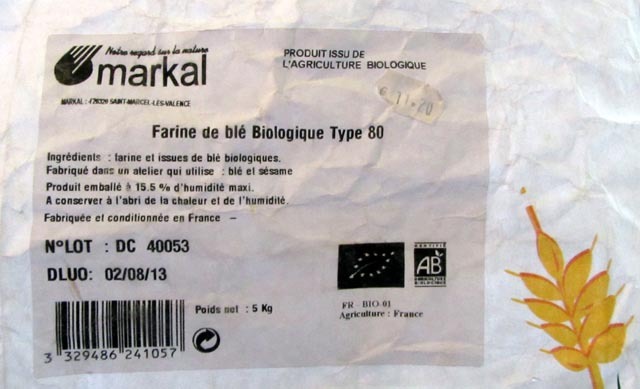 Bought a 5 kilo bag of T80 flour from the local organic shop. It gives you no information about protein content and I think it’s basically cake/pastry flour even if it is T80. 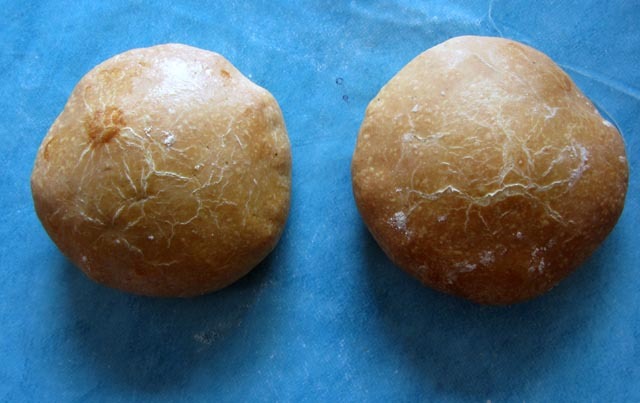 Plus I’ve been using Beure d’Issey in the brioche and the tortilla – they taste lovely but not quite as intended. More chance of rusting here at the moment, Mate. Nothing worse than your buns corroding.